Sleep Center in Riverside | Advanced Sleep Medicine Services, Inc. 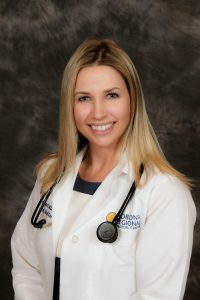 The Advanced Sleep Medicine Services sleep center in Riverside treats sleep disorders in patients of all ages and backgrounds. Using state of the art equipment, we diagnose and address the sleep disorders that prevent you from feeling healthy, happy, and alert throughout your day. From the 91 Freeway it’s easy to find our Sleep Center Location. How Can the Sleep Center in Riverside Help You? If you’re ready to learn more about successfully treating your sleep disorder, you can trust our team of specialists to help. It’s time that you get back to the normal, restful sleep you deserve—schedule your consultation today! If you’re taking an in-home test due to scheduling or circumstance, our helpful team will explain the process step-by-step and answer any questions you may have in order to ensure successful results. CPAP Devices & Supplies: Continuous positive airway pressure (CPAP) devices are commonly used in the treatment of sleep disorders. These devices are easy to set up, and we’re more than happy to walk you through effectively using yours. We’re also fully stocked with all the supplies you need to ensure your CPAP is running properly. And with our resupply program, you’ll never have to worry about running out of replacement supplies. Instead, they’ll arrive on your doorstep exactly when you need them! It’s simple, convenient, and lets you focus on getting the rest you deserve. Appointments That Work for You: At the Sleep Center in Riverside, we’re open 7 days a week, meaning you can visit us at your convenience. We also have 20 locations across California, making it easy to find a Sleep Center that is close to you. Find your Sleep Center today. If you’re ready to start sleeping better and feel increased energy throughout the day, the team at the Sleep Center in Riverside is here to help—request an appointment now! 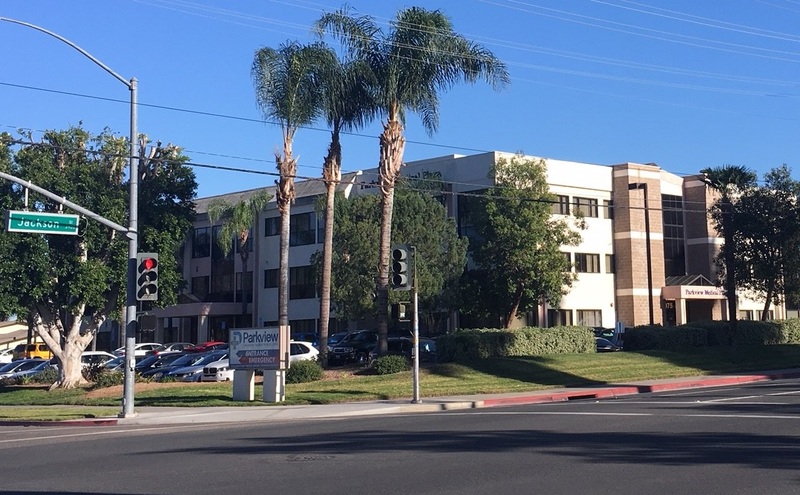 Our sleep center is located at 3975 Jackson Street, Suite 304 in Riverside. 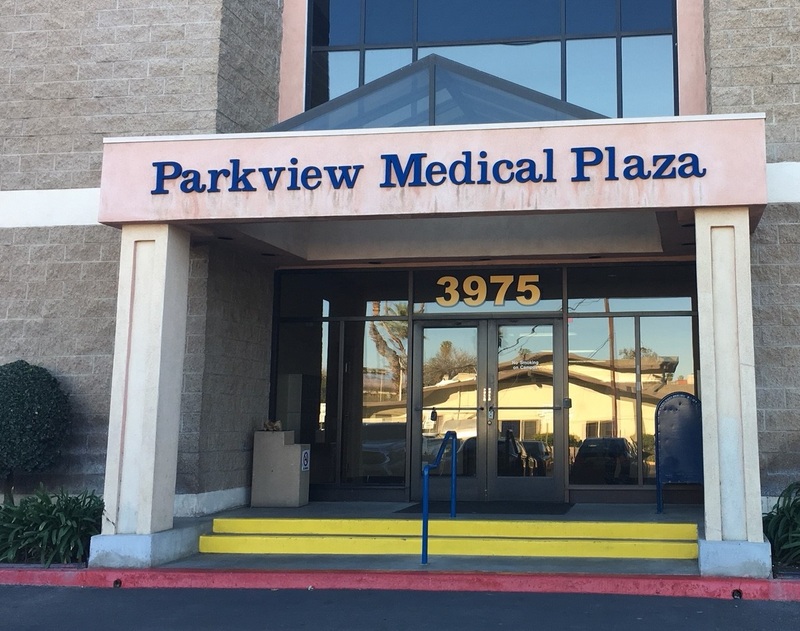 It’s at the corner of Jackson and Garfield Street, adjacent to Parkview Community Hospital Medical Center. You will need a code to enter the building during evening hours. We will give you the code when you schedule your sleep study appointment, and we will include the code on the confirmation email as well. The keypad to enter the code on the doorjamb immediately to the right of the doors to the building, shown in the picture above. If you have any problems, you can reach our after-hours patient support line at (877) 775-3377 extension 180 between 8:00 pm and 11:00 pm. We look forward to seeing you!